When I started lifting weights at the age of 16, I read every bodybuilding magazine I could find. I also compared notes with the other guys at Bill Pearl's gym, where I first trained. And, of course, I experimented and paid close attention to what I was feeling and the result I got in the days and weeks that followed the beginning of a new exercise or method. Now, looking back at those early days, I can see clearly that I did some things wrong, and I did some things right - if only by accident. Over the years I came to have a much better understanding, not only of what works but also why it works. That's always been very important to me. In fact, I'm writing a book about biomechanics, which I hope to have finished by the end of this year. I am now in the 38th year of my bodybuilding exploration, and I'm not finished yet. I'm in the middle of an experiment that I believe is revolutionary. Of course, it's unconventional - which is the reason I want to wait until my next competition, the World Championships, in June, before revealing all of my discoveries. I think the results of my experiment will prove that the concepts work. So far I can attest to experiencing far better results with these concepts than I've ever gotten before in my 38-year trajectory. Here is an overview of what I've found. Traditionally, we've been told that we need to 'work a muscle from all the angles', which normally requires three or four exercises in a given workout. Each of those exercises is typically done for about three to five sets. I've come to a different conclusion. I believe a muscle does one thing, primarily. So why not choose the exercise that best represents that one, primary function - and do only that one? Some people will argue that, while it may be true for some muscles, others clearly move in more than one direction, like the pecs and the trapezius. I'm aware that those muscles are fan shaped and that their fibers run in somewhat different directions, but I can still make a concise argument in favor of one exercise. I won't elaborate now, but I will explain the notion in detail in upcoming articles. I do allow for some variation of exercise from workout to workout. For example, today I might do pushdowns, and next time I work triceps I'll do overhead cable extensions. But I only do one or the other in a single workout and I do it to failure. 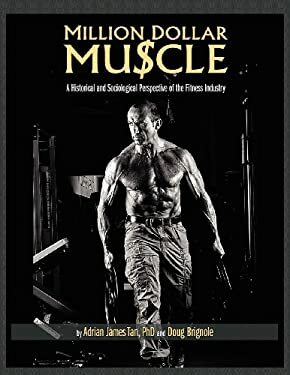 Some readers will have read my two recent articles, "The Ultimate Chest Exercise" [IronMan, June, 2013, p. 78] and "The Ultimate Lat Exercise" [IronMan, September, 2013, p. 76], which illustrate how we can narrow down precisely what a target muscle does and really zero in on the best movement for each muscle. Stay tuned, and eventually I'll cover all of them. Suffice it to say that some exercises have a huge return on investment, and others have a very bad one. In terms of the one best exercise for each body part, the principles of biomechanics generally dictate the optimum resistance curve - that is, the sequence of increases and decreases of resistance - for a given muscle's range of motion. So I tend to pick the one exercise - two at the most - that represents the optimum movement for a particular target muscle as well as the optimum resistance curve. And it's been working amazingly well. Counter-intuitive, perhaps, but results don't lie. Why waste time and energy on exercises that are mostly unproductive? Remember that spending too many calories per workout is one of the most detrimental things we can do, in terms of compromised results. So efficiency is the key. Do only the exercise(s) that give you the most bang for your buck. Virtually every article I've ever read involving exercise selection has recommended 'changing it up' frequently - meaning that we should always do different exercises to 'shock' the muscle and keep it from adapting. In my experimentation, however, I've found that to be entirely untrue. I've tried it both ways - using different exercises at every workout and using the same exercises at every workout - and, frankly, I've gotten better results using the same exercise. First off, assuming the exercise you're using is 'really good', why trade that for one that is not as good but different? Further, no study has ever shown the need for variety. It's simply a hypothesis - conjecture. It sounds reasonable. On the other hand, I make more progress doing an exercise with which I am extremely familiar and hammering the hell out of it. Again, I believe this will be proven when I step on stage next June, as that is precisely the way I train. For 10 years up until last year I tended to use low reps and heavy weight for all my sets, but I was frustrated because I was not getting anywhere near the amount of growth I believed I should be getting. I typically did three or four exercises per workout, ranging in reps between 15 and 6. Then one day I saw an article by Steve Holman (U.S. IronMan's editor in chief) in which he explained the 'sarcoplasmic' benefit of high-rep/high-fatigue training. I contacted Steve, and he explained the difference between 'myofibril' muscle growth (i.e., the muscle fiber, which has a limited growth capacity) and 'sarcoplasmic' growth (i.e., the fuel reserve that surrounds the muscle fiber and has a greater growth capacity). He explained that the sarcoplasmic part of the muscle doesn't get stimulated until you go past 15 reps, with the muscle being loaded for a 'time under tension' of 40 to 90 seconds. So I began experimenting. My first mistake was that I kept using the same number of sets and only increased the reps, with lower weight, naturally. That resulted in drastic overworking. So I took a big step back and decided to do only one exercise per body part, per workout, but with very high reps. Specifically, I do 50 reps on the first set, 40 on the second, 30 on the third, 20 on the fourth and 10 on the final set, usually with a breakdown, or drop sets. Of course, the weight is proportionate to the reps. So for the first set I select a weight that barely allows me to get 50 reps. I increase that for the second set, but only enough to allow me 40 reps, and so on. Sometimes I do a sixth set, but that's it. And, as I said, I get much better growth now, with this combination of high reps and low sets, than I ever did using more weight, more sets and lower reps. This has been one of my primary discoveries. Than you, Steve! After I read The Zone Diet and books on the Atkins Diet, I fell into the somewhat misguided belief that carbs are bad. I say somewhat because if we're not training hard in the gym, carbs do tend to make us fat. That's because carbs - sugars and starched - tend to increase our production of insulin, and insulin can facilitate fat storage. When we train hard, however, we need insulin to help push protein into the muscle - and that 'need' overrides the fat-storing effect of insulin. Essentially, it negates it. Plus, our muscles are largely composed of glycogen, which is stored carbohydrate. So if you limit your carbs when you're training hard, especially in the off-season, you will seriously compromise your ability to build muscle. I believe these lessons are truly transformative. I wish I had know them when I first began training - I think I would have made significantly better gains, especially when I was in my prime years, my 20's and 30's. I'm sure they will spark curiosity and conversation, begging for more detailed info. I promise to make that forthcoming in the near future, but for now, I encourage you to experiment with the concepts I've revealed here. I honestly believe that you can't go wrong.